This video of a hunter of the San tribe in south Africa, using the ancient hunting technique David Attenborough refers to as the ‘persistence method’ – running prey down on foot until either hunter or animal give up and collapse from exhaustion – is truly stunning. There is something so raw about this epic chase. Essentials only. A man – bone and muscle and sweat and blood – using his speed and endurance to catch his prey, simply running on his own two feet through the desert. There is the scorching sun overhead, the sand beneath his feet, the shimmering heat in the air. There is the speed and power, the gracefulness, of the wild antelope… and a life and death struggle to survive. 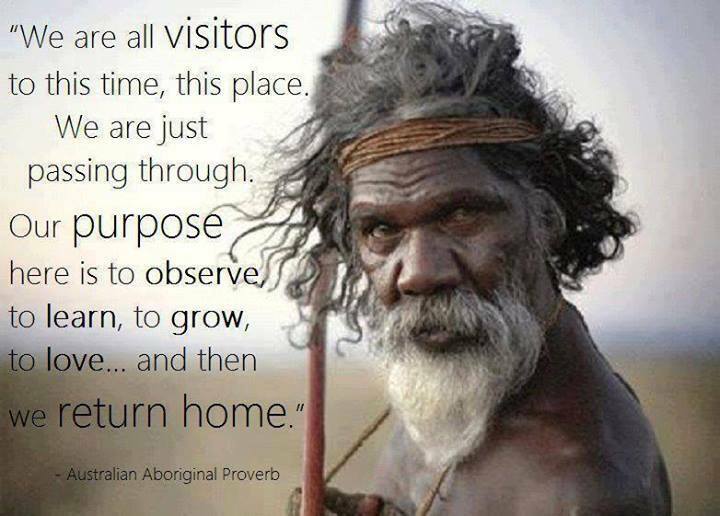 It is a primal experience. The human animal, striped of pomp and circumstance, with only a minimum of material objects at his disposal. The state of trance-like focus, the stark clarity of mind – there is no moment but the present, no task but the one crucial task at hand: continue, conquer, survive. At the end of this epic chase there is both tragic defeat and heroic victory. The cost of human survival is the life of the antelope. Death, this savage struggle live in a harsh environment, to kill to live… it isn’t glamorous or romantic. But there is something earthy, grounding, unflinchingly real – even tender – as the man strikes the killing blow, pays homage to the nobility of the animal and sends its spirit back to the desert sands from which it came. What does it mean to be a human on this earth? How to live, and die, well? How to co-exist with other creatures on this planet, how to live authentically and simply, how to get down to that essential, earthy, raw experience, to live with focus and clarity, to do what is necessary and remain free of unnecessary burdens? How to make the most of this one wild and precious life? Categories: anthropology, meaning of life, nature, world cultures | Tags: Africa, African culture, anthropology, BBC Earth, David Attenborough, hunter gatherer, hunting, meaning of life, nature, San tribe, survival, wildlife | Permalink.